Anne Cushman is a leading national pioneer in the integration of mindfulness, embodied meditation, and creative expression. A member of the Teachers’ Council at Spirit Rock Meditation Center, she founded the first multi-year Buddhist meditation training for yoga teachers. 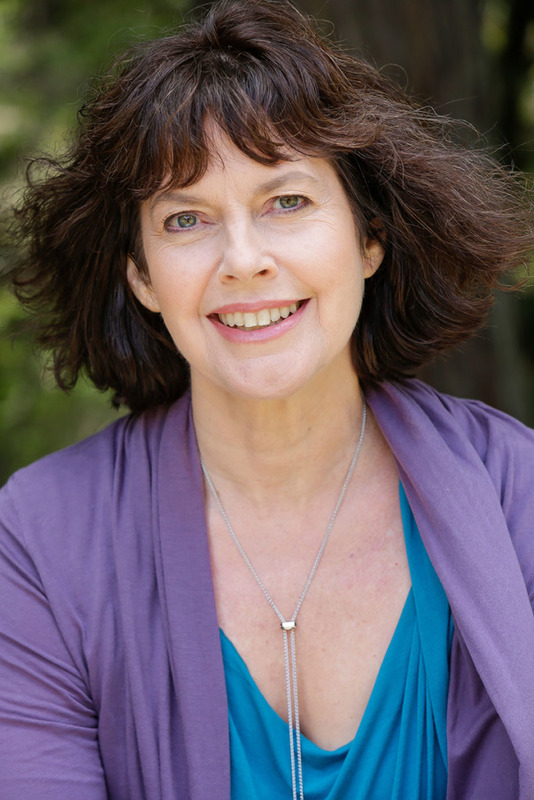 Her books include the memoir The Mama Sutra, the novel Enlightenment for Idiots, the mindful yoga book Moving Into Meditation, and the India pilgrimage guide From Here to Nirvana; and her essays on spiritual practice in daily life have appeared in the New York Times, Yoga Journal, O: The Oprah Magazine, Lion’s Roar, Tricycle, and many other publications. She directs the mentoring component of the Mindfulness Meditation Teacher Certification Program, which enrolls over 1500 students from 47 countries. She leads regular meditation retreats with a focus on creativity, embodiment, and daily life practice. Anne’s passion for integrating writing and contemplative practice began at Princeton University, where she majored in comparative religion, corresponded for local newspapers, and studied fiction, poetry, and playwriting with teachers including novelist Joyce Carol Oates. As a senior, Anne was awarded a National Endowment for the Humanities grant to write and produce a video documentary about the Zen Center of Los Angeles. Just before the filming began, the Center’s Zen master admitted to his affairs with senior women students and entered an alcoholism treatment center. Zen Center: Portrait of An American Zen Community renders a groundbreaking picture of the challenges and transformations that confront those who transplant Asian monastic traditions into a California commune. As a writer and editor for Yoga Journal, Anne became a thought leader in the world of yoga, meditation, personal growth, and body-mind transformation. She profiled yoga and Buddhist master teachers; explored creativity as spiritual practice through articles on storytelling, writing, improvisation, and drumming; and documented the collision of spiritual ideals with human failings. Meanwhile, Anne practiced Buddhist meditation with Vietnamese Zen teacher Thich Nhat Hanh and Insight Meditation teacher Jack Kornfield. She trained in multiple yoga traditions, including Iyengar, ashtanga, and vinyasa flow, while finding her home base in the intuitive, inner-body explorations of Angela Farmer. As the culmination of her eight years at Yoga Journal, Anne spent eight months as a spiritual journalist in India, researching her book From Here to Nirvana, a guide to ashrams, yoga centers, and pilgrimage sites. After leaving Yoga Journal, Anne lived for three months as a writer-in-residence at the Kripalu Center for Yoga and Health. There she explored how fiction and memoir might evoke the intersection of spiritual practice with the gritty realities of life. After her first pregnancy ended in tragedy, Anne wrote her way through her grief, resulting in her Yoga Journal essay “Into the Heart of Sorrow,” shared in grief support groups nationwide. After the birth of her son in 2000, Anne directed Kripalu’s first Yoga and Buddhism conference, then their first “yoga and parenting” conference. Over the past decade, Anne has taught almost one hundred retreats and trainings. These center on integrating meditation with embodiment arts such as yoga; on the “spirit of creativity,” combining meditation with painting and creative writing; and on women’s lives and inner journeys. She has graduated from both Spirit Rock’s two-year Community Dharma Leader training and its four-year dharma retreat teacher training.